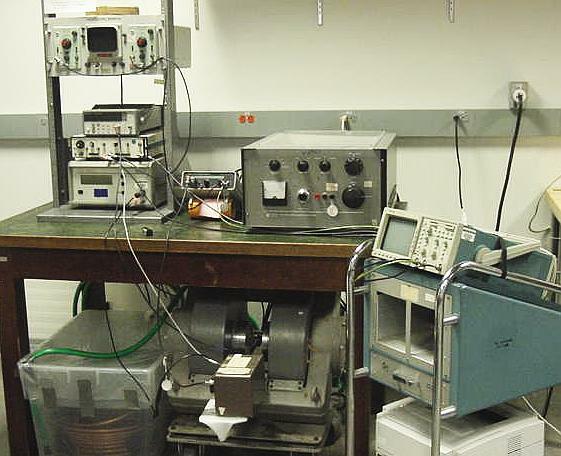 In this experiment students observe nuclear magnetic resonance using very simple electronics and experimental hardware. 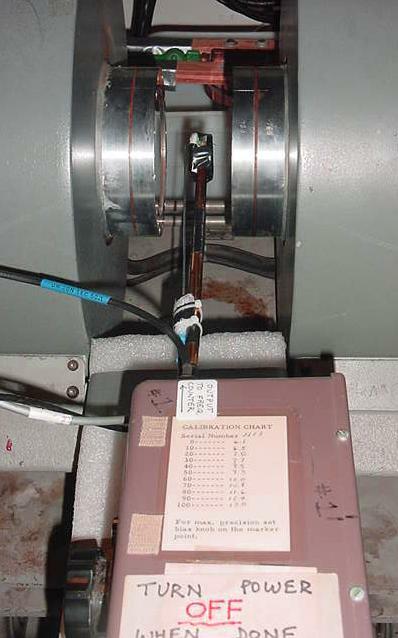 A radio frequency (rf) field is applied to a proton sample placed in a large DC magnetic field with a small AC component. As the sample passes through resonance the rf field flips the proton spins from the ground state to the excited state. The resonance signature is the signal from the proton spins relaxing back to the ground state. The resonant frequency is measured at different magnetic field values, and from these measurements the gyromagnetic ratio of the proton is derived. Similar measurements are performed on a sample containing fluorine, allowing for the determination of the gyromagnetic ratio for a second nucleus. Finally, proton (water) samples are prepared with varying concentrations of paramagnetic ions, allowing the students to observe the strong effect these ions have on the proton spin relaxation time. In the NMR detection signal, the wiggles represent the difference between the RF oscillator frequency and the Larmor precession frequency. Justify this statement and explain why the wiggles decrease in amplitude. The resonance frequency is a function of the static magnetic field felt by the protons. If these protons were in a paramagnetic material, this frequency should be different than if they were in a material of zero magnetic susceptibility. Why? What would be the minimum change in susceptibility you think you could measure in this setup? What would be the effect of a DC offset in the current through the sweep coils? Explain why, or why not, this would change your measurements of the gyromagnetic ratio. http://www.magritek.com/support/videos/ Paul Callaghan (Univ. Wellington) video lectures for Magritek "Terranova MRI teaching system." The background information, especially the first two on the basic physics, and later ones on spin echo, T1 and T2. Their equipment is designed differently from ours, using the Earth's magnetic field for kilohertz resonance, but the basic physics is the same. Purcell, E. M., "Nuclear magnetism", Am. J. Phys., 22, 1-8 (1954). Bloembergen, N., E. M. Purcell, and R. V. Pound, "Relaxation effects in nuclear magnetic resonance absorption", Phys. Rev., 73, 679-712 (1948). Norberg, R. E., "Resource letter NMR-EPR-1 on nuclear magnetic resonance and electron paramagnetic resonance", Am. J. Phys., 33, 71-75 (1965). Resource letters give many references to relevant literature. More information is available on the Pulsed NMR page.